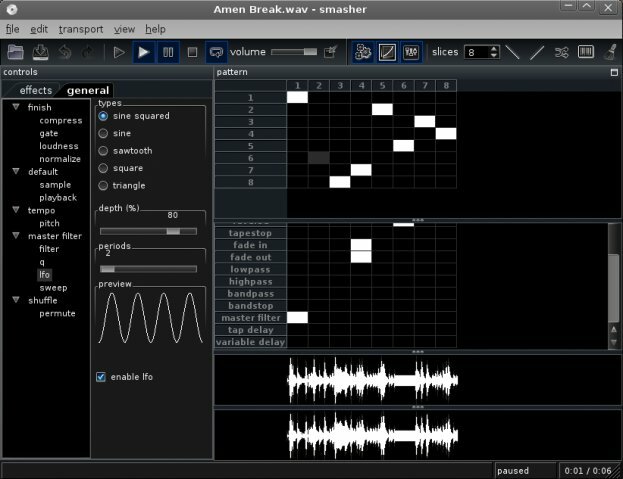 Smasher is a cross-platform audio loop slicer designed to create sliced loops from WAV, MP3, FLAC or AIFF files in seconds without a sequencer. Effects include filter sweeps, phasing, flanging, delay, and distortion. You can install it on Ubuntu with this deb package.